(a)　How many pizzas will each student receive if 1 pizza is divided equally among: (i) 2 students; (ii) 3 students;　(iii) 4 students? 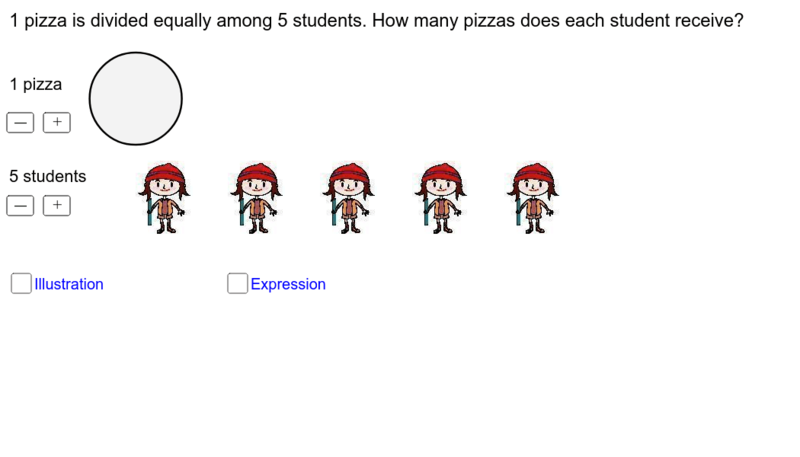 (b)　How many pizzas will each student receive if each of the following numbers of pizzas are divided among 3 students? (i) 2 pizzas (ii) 4 pizzas　(iii) 5 pizzas In general, how would you calculate a ÷ b ?